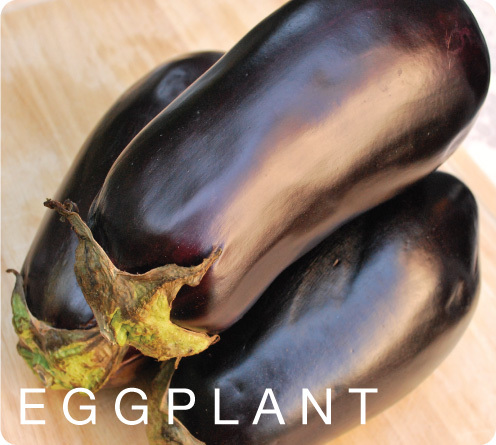 The eggplant is also known in French and British English as “Aubergine”. Eggplant is low in calories, with just 35 per cup. It contains no fat and its high fiber content can help you feel full and help with digestion and colon health. Eggplants contain Nasunin which is a potent antioxidant and free radical scavenger that has been shown to protect cell membranes from damage. Eggplants also are high in a chlorogenic acid, a powerful antioxidant offering antimicrobial and antiviral activities along with the ability to help lower bad cholesterol levels. Eggplants are a good source of vitamins: B1, which helps the nervous system; B6 for hormone balance; B3 for processing fats and energy production; and K that aids in blood clotting.